Biggest Esports Sponsorship money is a big deal for any professional sport or gaming event. From auto racing to rugby, football to fight sports and more, sponsorship money is what makes these events much more interesting to watch and more competitive for the teams. Even eSports and competitive gaming are seeing sponsorship money that is taking this increasingly popular series and making it grow more than ever. With the current value of the eSports market set at approximately £900 million, companies are looking for ways to create more lucrative sponsorship deals. eSports prize pools increase every year, especially for popular eSports games such as League of Legends, Dota 2 and Call of Duty. More recently, at The International 2017, the world championships for Dota 2, the prize pool broke the eSports history record for the largest prize pool at $24,787,916. As it is with any successful industry, a higher valuation means more money from corporate sponsors. eSports sponsorship deals are helping push international competitions from a niche segment to full-fledged sporting events. We have compiled a list of eSports sponsors that includes some of the major companies attaching their names to competitive gaming. 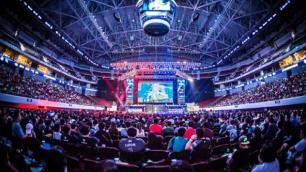 Intel: Has sponsored the longest-running eSports tournament in existence, theIntel Extreme Masters along with ESL (Electronic Sports League) since 2006. Coca-Cola:Sponsoring the League of Legends World Championship, Coca-Cola and Riot Games have partnered with major cinemas to host more than 200 simultaneous viewing parties for the League of Legends World Championships throughout the U.S., Canada and Europe. Comcast Xfinity:Comcast Xfinity sponsors both ESL and the eSports team Evil Geniuses, which competes at the highest levels in Dota 2, League of Legendsand more. Red Bull: Red Bull is a major proponent of eSports. The company began by sponsoring tournaments for Blizzard’s StarCraft 2 and then branched out into Dota 2. Mountain Dew:Mountain Dew sponsors several eSports teams, including Team Dignitas, Splyce, and Team SK Gaming. T-Mobile: The wireless carrier sponsored eSports organizations TSM and Cloud9 starting in August 2017. T-Mobile also sponsored Twitch’s E3 fighting game tournament “Twitch Esports Arena” in June 2017 at the Staples Center in Los Angeles. Mobil 1:Mobil 1sponsors the Rocket League Championship Series. As the eSports market grows, more sponsors and investors will flow into the industry, creating even more growth and new opportunities for all the players involved. What would eSports be like without the sponsorship money of these large corporations? Many say that the industry wouldn’t have grown as much as it has and it might not even be around today without the additional funding.